The London Transport Museum run a series of excellent tours under the title of Hidden London. Up until a couple of weeks ago I had been on all these tours with the exception of the “Highgate Wilderness Walkabout”, so I was really pleased to complete the set and take the Northern Line up to Highgate Station on a Friday afternoon at the beginning of September. 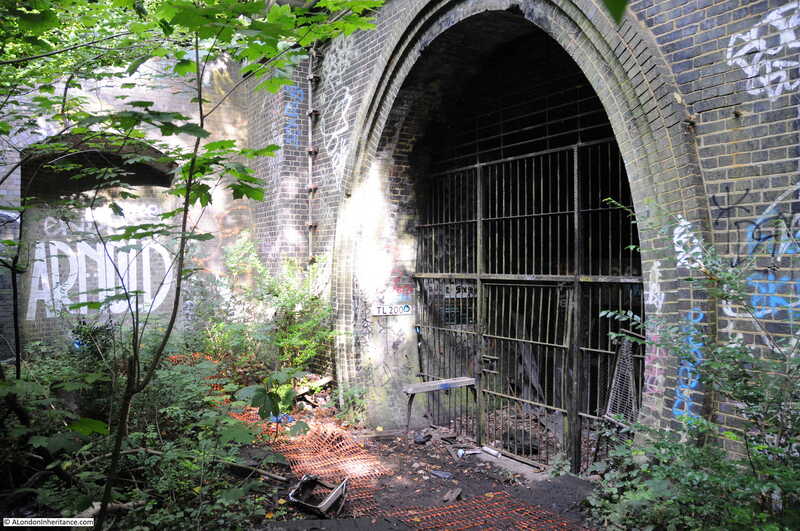 Unlike the majority of Hidden London tours, this one is above ground and explores the old Highgate high level station. I have wanted to visit this station for some time after finding some postcards of Highgate Station which show a large station and tunnels in a valley adjacent to the Archway Road. The high level Highgate Station is above the underground station of the same name on the Northern Line. 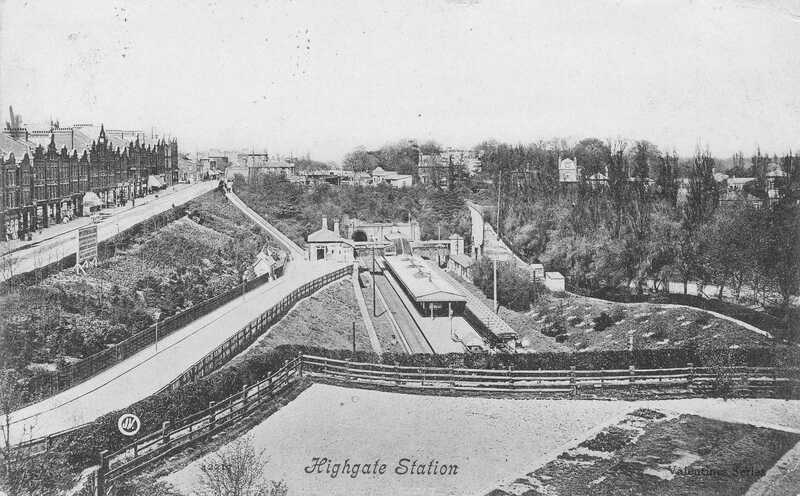 The high level station (which I will call Highgate Station from now on) was opened on the 22nd August 1867 by the Great Northern Railway on a new line that ran from Finsbury Park up to Edgware, High Barnet and Alexandra Palace. The following postcard shows a view of the station from the south. Archway Road is on the left. The view of the station is not as originally built when the platforms were along the side of the tracks. The main central platform was added soon after. 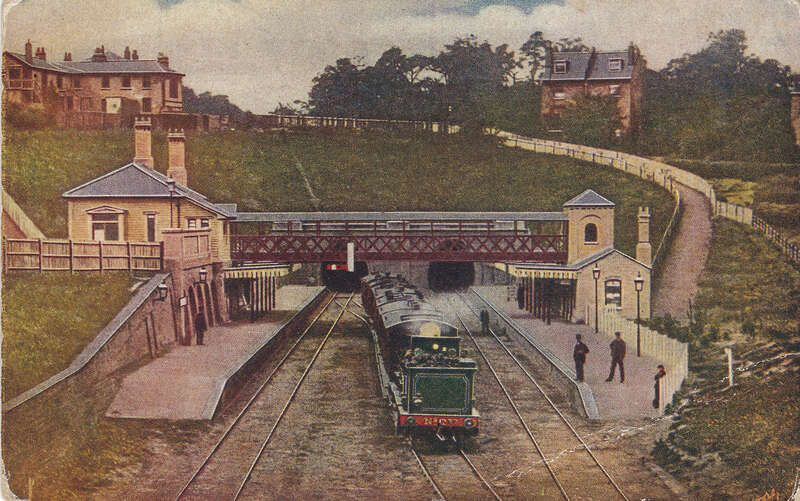 This postcard shows the station as first built with the two side platforms. Another view of the station which shows how quickly trees had grown on the embankments surrounding the station. 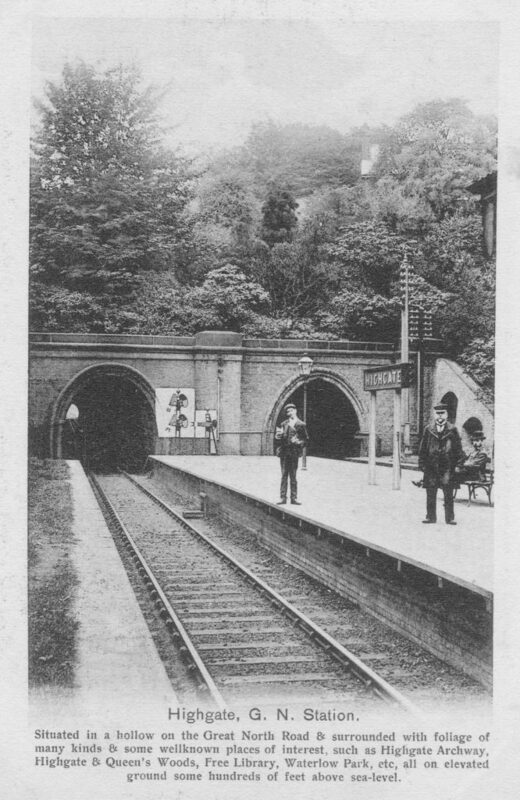 A postcard showing the platform and through the tunnel. The description at the bottom of the postcard regarding the foliage perfectly describes the station environment today. Strange to hear Finchley being described as a “remote and inaccessible region” ! The opening of Highgate Station must also have had a very positive impact on the price of property in the area (the result of the construction of new transport lines still visible today, for example along the route of Crossrail). Adverts for property in newspapers in the years after the opening of the station mention “near the recently opened Highgate Station”. 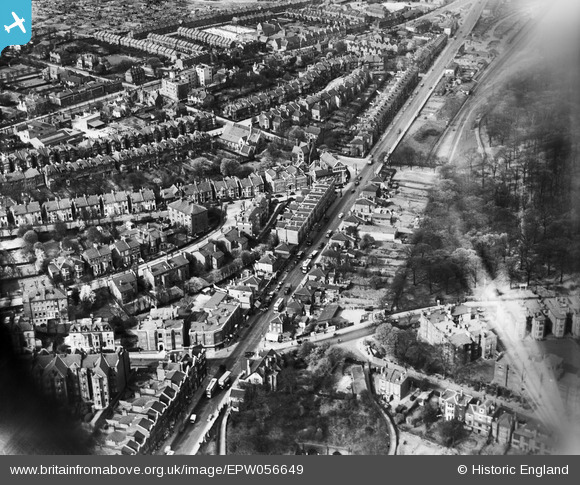 The following photo dated 1938 from the Britain from Above collection just shows the entrance to the northern tunnels from Highgate Station, at the very bottom of the photo. Follow the direction of the tunnels higher up the photo and slightly to the right and you can see where the tunnels emerge with two lines of track running up to East Finchley. The branch to Alexandra Palace can also just be seen. The photo therefore gives a good idea of the length of the tunnels. During the 1930s there were plans to significantly expand the railways serving the northern reaches of London. The Northern Line would be extended from Archway Station and a new deep level station at Highgate would connect to the high level station to form a major junction. Work was progressing well, when in 1936 Charles Brand & Son Ltd started the construction of new tunnels extending from Highgate deep level station up to ground level just south of East Finchley station where the tunnels would emerge on either side of the high level tracks. The tunneling work was helped as a new rotary excavator was used in addition to the normal tunneling shields. The rotary excavator was claimed to dig 170 feet of tunnels per week, roughly twice as fast as the traditional shield method. An inspection of the works was held for journalists in early 1938 and at the following luncheon the intentions were made clear for the volume of traffic at the combined high and low level Highgate station which would be served by 35 trains per hour at peak times, with 14 serving the high level platforms and 21 the low level platforms. 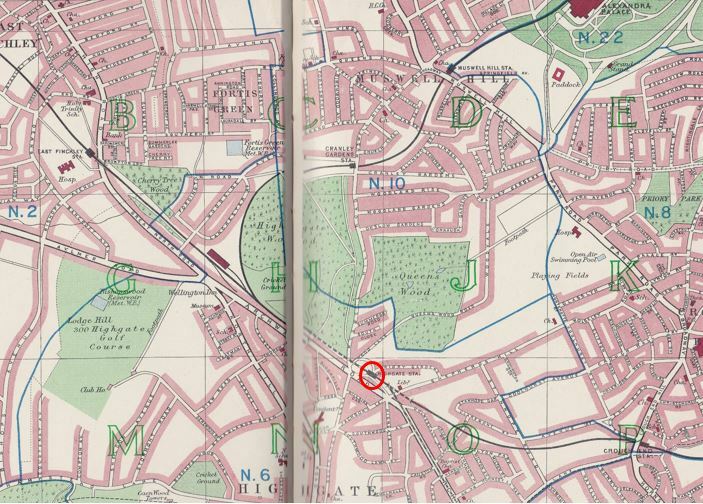 The start of the war in 1939 slowed down work on electrifying the northern routes, extension of the Northern Line and integrating the high and low level stations at Highgate. 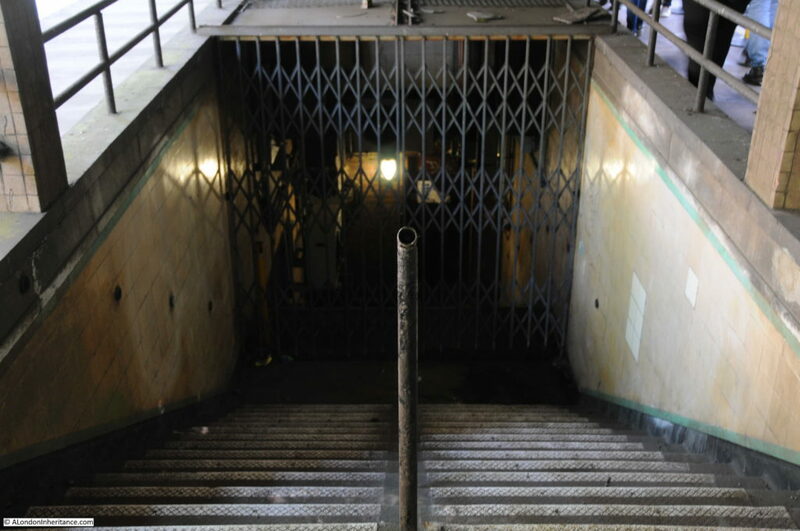 The original high level station buildings were demolished and a new central platform with reinforced concrete canopies were built, including a stairway leading down to the new Highgate Northern Line ticket hall. 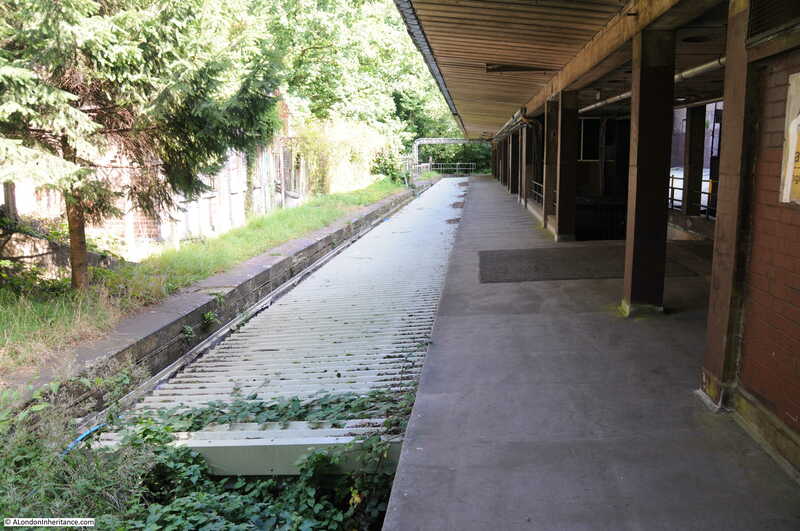 The central platforms dating from this time are still in place today. The deep level station opened to traffic in 1941. After the war, the lack of finance, along with a reduction in passenger numbers conspired against any further electrification or expansion of the northern rail lines and whilst the Northern Line was not at risk, traffic through the High Level station was such that routes through the station gradually closed, with the last passenger train running through Highgate high level station to Alexandra Palace in July 1954. 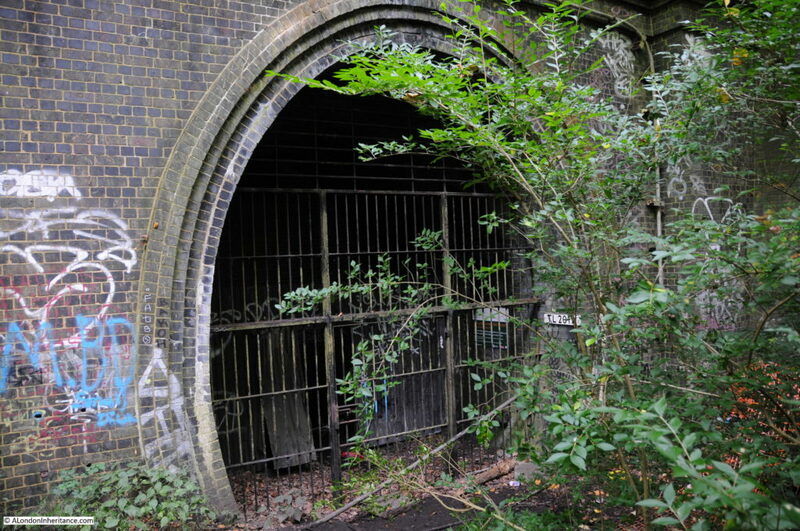 The line continued in use for a few years to carry freight, however the tracks were removed between Highgate and Alexandra Palace in 1958 and along the rest of the route in 1971. 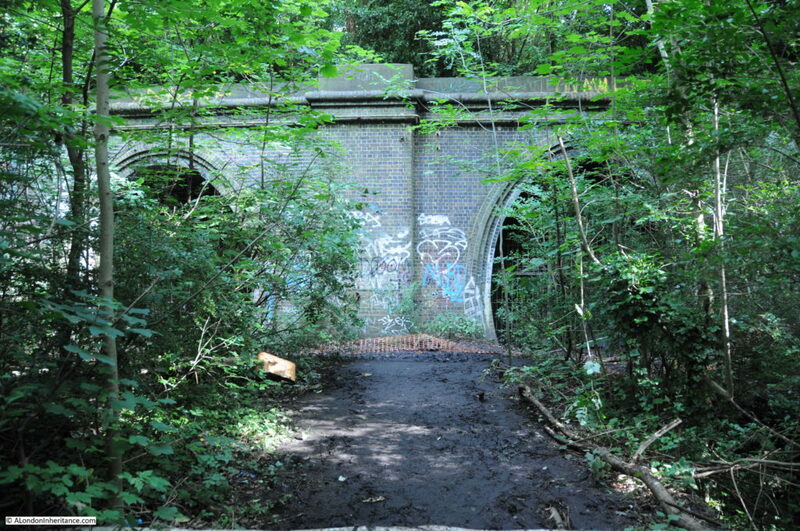 The stations at Cranley Gardens and Muswell Hill on the Alexandra Palace line were demolished and today nothing remains of these station buildings, however the Parkland Walk now follows sections of the route of the railway line from Finsbury Park to Alexandra Palace. Time to take the tour. 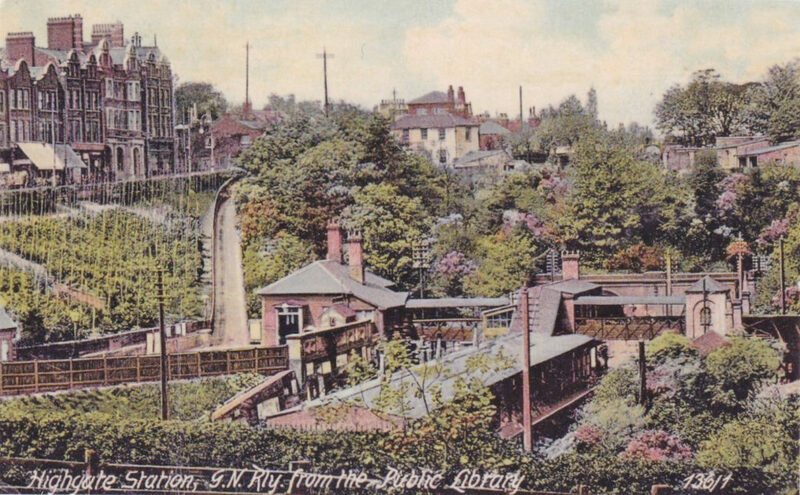 The station is reached from the curved footpath descending from Wood Lane which was one of the original entrances to the station as shown in the postcards. 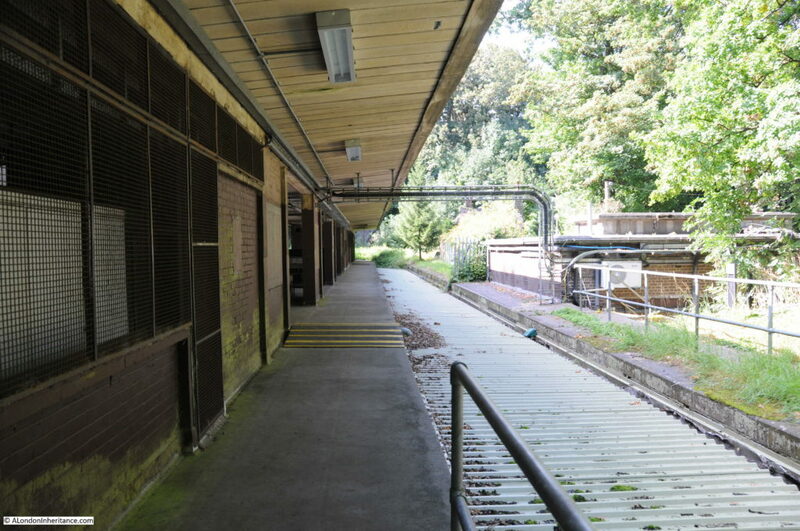 This is the view along the platform looking towards the northern tunnels. From the same platform looking towards the southern tunnels. The concrete canopy is from the 1941 reconstruction of the high level platforms. At the end of the platforms looking at the northern tunnels. 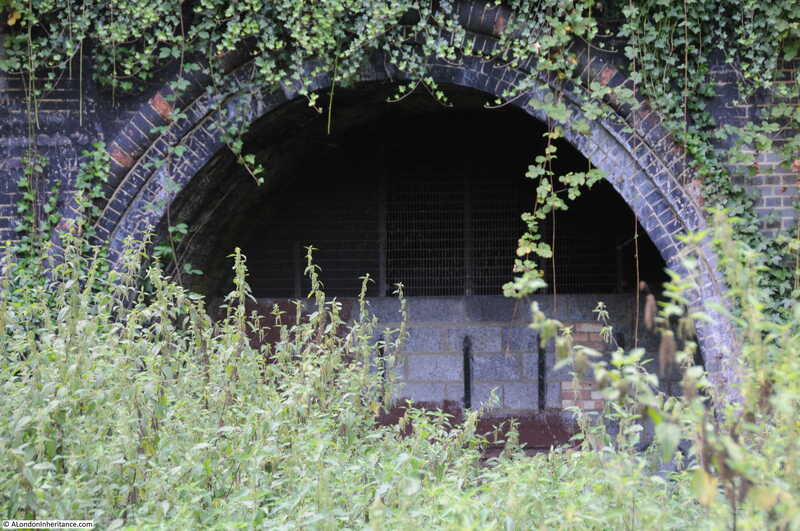 These photos show how this once busy station in the centre of north London and adjacent to the busy Archway Road has been reclaimed by nature. This stairway was also part of the 1941 reconstruction of the station and led down to the ticket hall for the deep level station below. The walk to the southern tunnels feels like a walk through some woods, such is the level of tree growth. 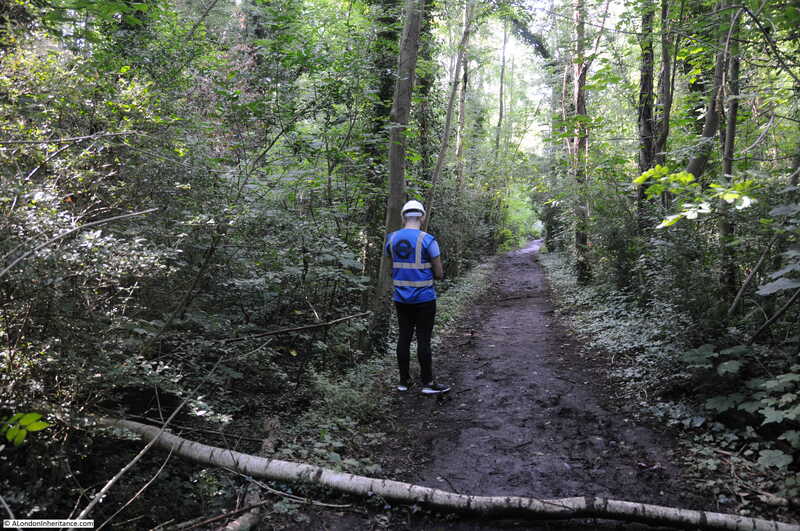 Recent rainfall had also turned the pathway into a muddy track which further enhanced the sense of a walk in the country rather than in central Highgate. Looking back from the southern tunnels to the station in the distance. The two southern tunnel entrances. Whilst it is possible to walk in the tunnels, they are closed off to protect the six different species of bats that now call these tunnels home. A final look along the central station platform. 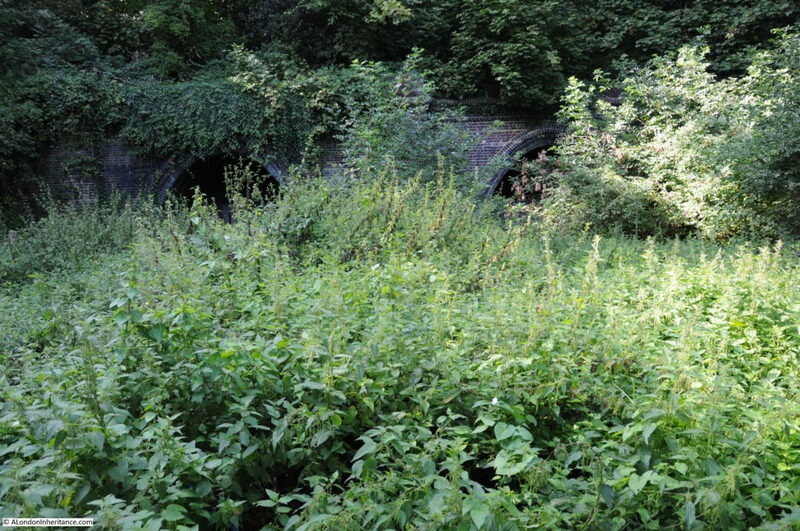 This was a fascinating glimpse of a station that was once intended to be a significant transport hub in north London and now forms a very natural and overgrown valley next to the Archway Road. As usual, the guides and staff from the London Transport Museum were very knowledgeable and enthusiastic. Having completed the current set of tours, I can only hope that there are plans to open up a few more locations in the future. The Hidden London page on the London Transport Museum web site details the tours as they are available. This entry was posted in London Transport and tagged Hidden London, Highgate, London Transport Museum on September 17, 2017 by admin. Thank you: a very interesting read. Intriguing that the land hasn’t been sold off to housing developers. 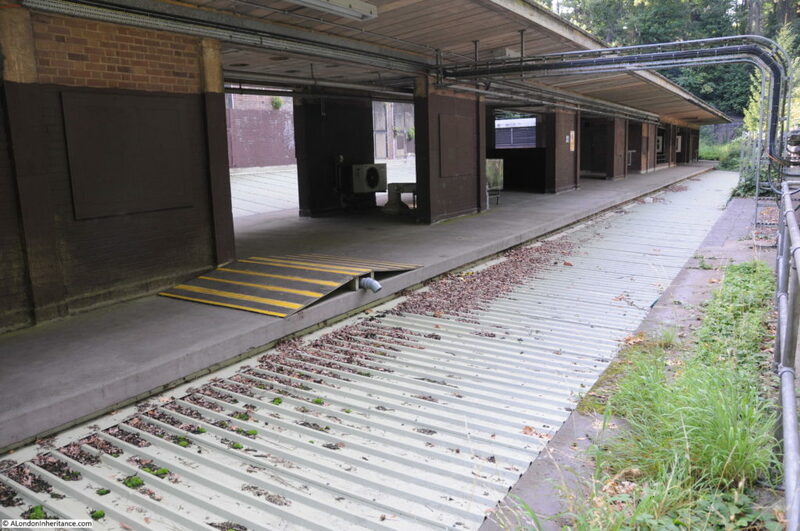 Did they say why the trackbed either side of the platform are filled in/roofed with that white corrugated material? Presumably what looks like an air conditioning unit on the platform serves office/s in the deep level station? I’ve only found your site this week and just wanted to say thank you. It is fascinating! The line would still be in use today from East Finchley to Finsbury Park, as they used the line to shunt tube trains from the depot at East Finchley down to Finsbury Park for the spur Northern line track that ran from Moorgate to Finsbury Park. Unfortunately, after the Moorgate train crash in 1975 the bridge over the lines just north of FP was removed and the track taken up. Its less than 2 miles from FP to Highgate and a tunnel or light rail would make a significant difference to the overcrowded Northern Line. The line was one of the options of Crossrail 2. Fascinating: I knew nothing about this. Thanks. One note: travelling northbound on the Northern Line (and maybe southbound – I’ve not checked), the platforms at Highgate are excessively long, for no apparent reason. 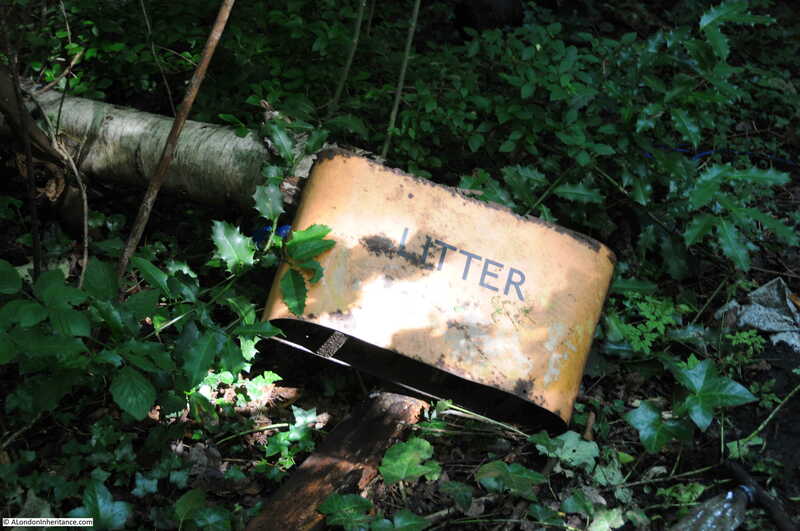 A substantial part of the platform is never used. This is very interesting, thank you. My partner’s great-great-grandfather spent 43 years in the signal box at the goods yard at Highgate Station, retiring in 1928. He lived at 2 Wood Lane, right next to the station. This has really brought it alive for us. He might even be in one of the old photos!